Watching the shows and presentations during New York Fashion week is always a huge treat for me, not only as a designer but as someone who loves fashion and beautiful tailoring. 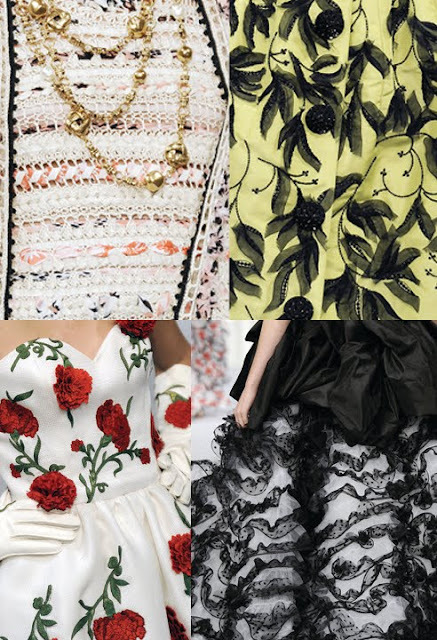 All the fabulous detailing and intricate patterns, embroidery and appliqués are hugely inspiring to me and I always compile a list of my favorites into a sketchbook or lightbox for future reference. 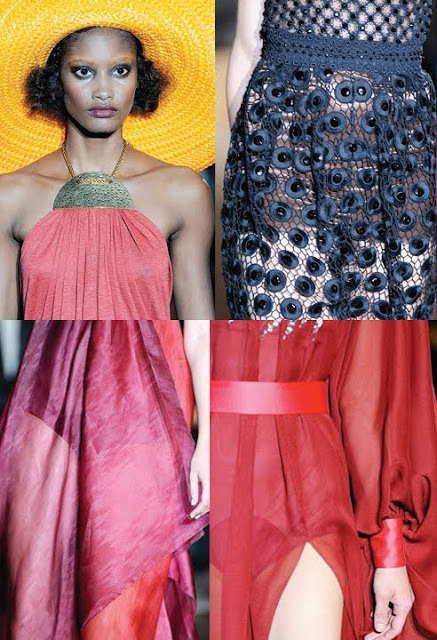 I was blown away this year by the diversity of different techniques and ideas that surfaced in the shows from delicate fabric draping and delicious color pairings to serious embroidery and handwork. 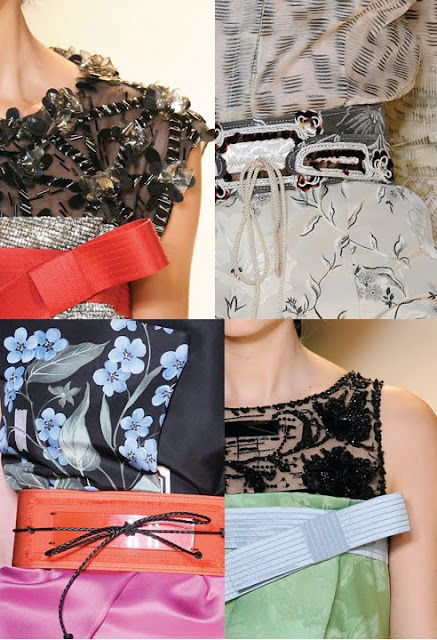 I’d love to share my favorite selections with you..
Love these Korean costume inspired bows as well as the delicate way in which fabrics are juxtaposed next to soft, textured fabrics like lace and fine embroideries. 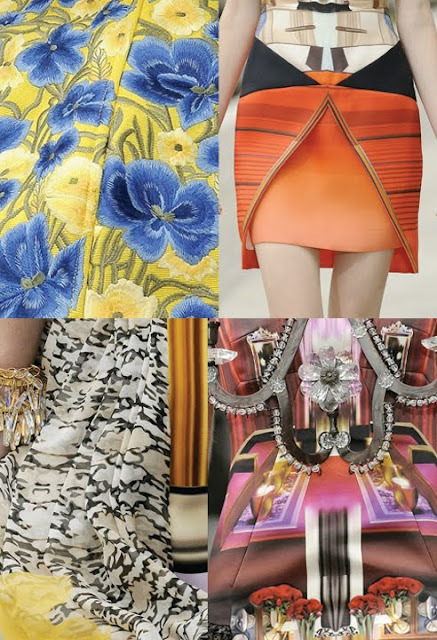 I have to admit that Kary Katrantzou was unknown to me until I discovered her collection this year. I was blown away by how she combined prints and geometric shapes to create truly inspiring and one of a kind pieces. 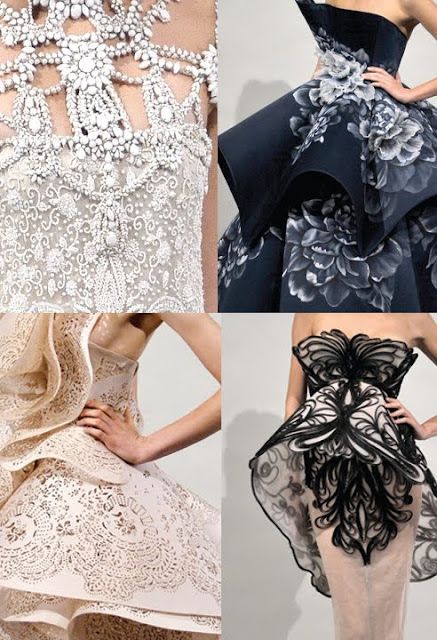 When I’m looking for gorgeous glamorous pieces and amazing detailing, Marchesa is always a go-to for me. As usual, this collection yielded some amazing designs and detailing from hand painted fabrics to what appeared to be laser cut fabrics. Brilliant yet still quintessentially classic. One of the most interesting things about the Marc Jacobs show last week was his use of unexpected combinations, layering and rich variations of color on a diverse range of materials from leather to gauzy silk dresses. I completely fell in love with this collection. The Rodarte show evoked a very worldly feel to me. From nomad prints and geometric patterns to Chinese blue and white porcelain inspired embroideries, they were really able to capture a sense of global design. 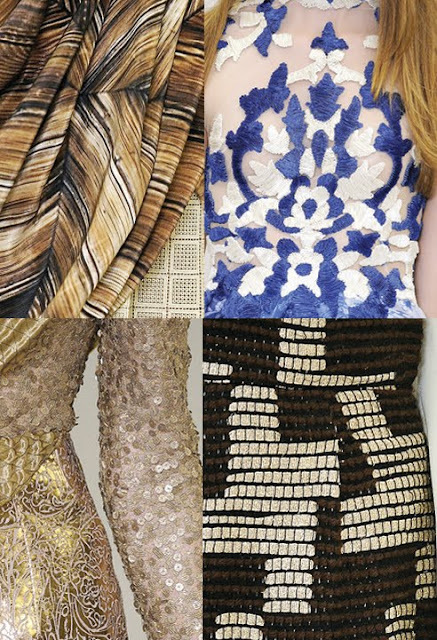 They also utilized a broad range of materials from sequins and leather to carved wood and metals. Saving the best for last, Oscar de la Renta is one of my all time favorite designers in the world and his collection sure didn’t disappoint. I always love how delicate and timeless his pieces always look. Gorgeous! I was so unbelievably inspired by last week’s fashion week and I look forward to using this inspiration in future projects! Who knows, we may see a mandarin orange Carolina Herrera inspired bellyband or an Oscar de la Renta embroidered carnation design motif in future invitations!